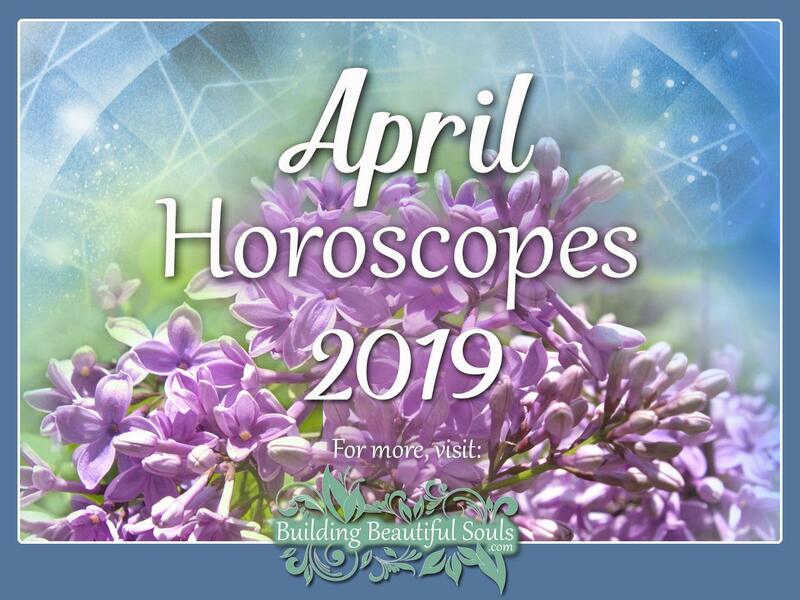 Welcome to the most in-depth monthly horoscope and astrology overview for April 2019! Make sure to bookmark us so you can come back throughout the month for a horoscope ‘check-up’. Rest assured there are a few playful characters just waiting for the right moment to pull a well-planned prank or two on April 1st! From April 1st-4th we’re under the influence of a Mercury Conjunct Neptune transit; the energies are perfect for shadow play and secrets! We can also rest assured in knowing the pranks we deal with will be particularly creative, so it’s best if we brace ourselves for the unexpected! April 5th, the New Moon enters Aries, giving all of us a much-needed energy boost; We’ll do well to harness the energy and do something constructive with it. It’s time to ask ourselves what we can do to “break out of the box of monotony.” On the 6th, transiting Mercury Sextile Saturn brings a three-day celestial influence allowing us clarity of mind, intense concentration, and ease of expression. A two-day Sun Square Saturn influence moves in on April 9th while putting a damper on our mood. The New Moon enters Libra on the 10th, allowing us to examine the emotional and energetic imbalances contributing to the doldrums we’re experiencing. By the 11th, we’ve pulled ourselves out of the emotional cloud. We have hope once more with the arrival of transiting Mercury Square Jupiter. From the 14th-16th, a Sun Trine Jupiter transit following a transiting Venus Square Jupiter influence has us all looking at happy times ahead. April 19th brings the Full Moon followed by the Sun entering Taurus April 20th; we’re feeling more grounded and attuned to the Earth; the 21st, where happy to spend time with friends and family, and positive vibes peak on April 22nd, with the arrival of Earth Day. The end of the month, our ambitious energies wind down with the entrance of transiting Mars Square Neptune. Your mind is fixed on your plans. 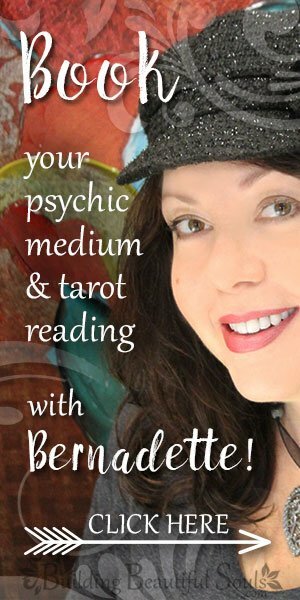 You’ll find your interests in numerology, astrology, tarot, and other divinatory methods, if for no other reason than to predetermine the outcome of your future efforts. On the 5th, the New Moon enters your sign, so it’s the perfect time to launch the projects you’ve been planning. On the 6th, your pristine clarity allows you to see all you envision and the steps you need to take to achieve your dreams. April 9th, you’ll recognize the pressure that comes with achievement. 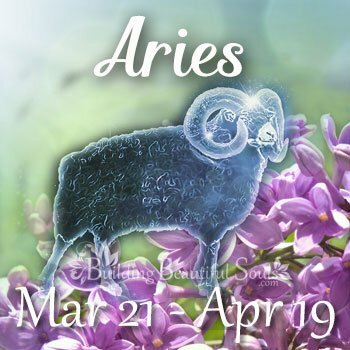 You won’t cave to the demand; April 11th, as the tried-and-true Aries, you ram right through obstacles as they present themselves. From the 14th-16th, you’ll feel like luck is shining down on you and that you’ve got the Midas touch. 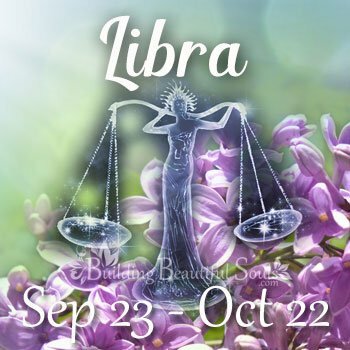 The Full Moon enters Libra on the 19th, so you’ll combine your need for action with the peacekeeping vibes of Libra; not one to tread lightly anywhere, you’ll at least take the path of least resistance. By the end of the month, you are ready for a well-deserved rest. Healing Crystals & Stones: Anyolite helps Aries attune to the earthy vibrations in April. Starting April 1st, you’ll be able to sense what people are feeling long before they ever say a word. You can use your heightened intuition to your advantage. You’ll know the precise time when others are receptive and more willing to give you what you want. The arrival of the New Moon on the 5th stirs your desire to try something new. You’ll be longing for a little more spice in your life. April 6th, you’re looking to reorganize your home or office. It’s time to throw away or sell what no longer serves you so you can make room for the new. On the 9th, you’ve got your nose to the grindstone as you try to finish off everything on your to-do list. You have an eye for design, Taurus, and will pay attention to every detail as you consider revamping a room or two in your home on the 11th. From the 14th-16th, things are going so well that you’d swear you could weave straw into gold! The Full Moon enters Libra; you’ll merge the power of the bull with the harmonious vibes of Libra. 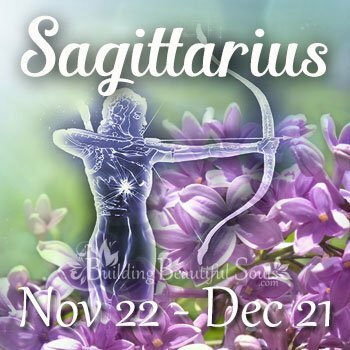 From the 19th-22nd you’re feeling an Earth-loving, peacekeeping vibe and at one with all nature. Your goal is living a life in reciprocity with the natural world. Healing Crystals & Stones: Blue Muscovite helps Taurus make the most of innate psychic abilities. 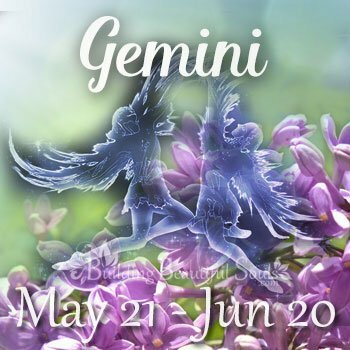 From the 1st-4th, you’ll have no problem getting your point across, Gemini. Communicating with others is your forte. Others will look to you for guidance if they need clarity. For you, there’s no hesitation in taking on the guise of a mentor. On the 5th, New Moon energies have you taking on a take-charge attitude at work. You’ll want to soften that attitude when at home and dealing with a lover; otherwise, you’ll come off as bossy and aggressive. On the 6th, you’ll have a candid discussion with your boss or a person in a position of authority; the topic of discussion is your career and potential advancement. Not one who likes restraints, the 9th brings the pressure of chores and “must-do” activities: Feeling trapped puts you in a foul mood. Your mood shifts on the 11th: You have no problem understanding others or getting others to understand you now. From the 14th-16th, you’ve got a skip in your stride and a smile on your face; there’s blessings abound! The 19th, the Full Moon in Libra blends with your Mercury-ruled nature; communications are smooth while involving no emotional upset. The end of the month has you winding down from celebrating with family and friends. Healing Crystals & Stones: Blue Agate allows Gemini to ground and tap into Earthly energies. For the first few days of April, your psychic senses are on overdrive. Usually, your ability to connect with others is something you’re comfortable with; but you’ve got way too much incoming sensory information to feel comfortable now. Feeling defensive, you’ll retreat to a place of solitude until the energetic psychic surge subsides. On the 5th, the New Moon’s influence has you wanting to strip away the façade of your “public self.” You’re longing for people to accept you for who you are as you really are. With your new authentic self-looking to shine, on April 6th, you’re seeking an audience. You’re looking to share your wealth of knowledge about a subject and to get feedback about your thoughts. On the 9th you may feel shunned because you can’t give your feelings the attention you think they deserve. On the 11th, you’ll stop sulking and put your best foot forward with your hope renewed. April 14th-16th has you feeling like you rule the world; people are receptive to you, and you are equally receptive. The Full Moon in Libra casts a desire for you to find emotional peace at all costs; you’ll explore old wounds, not to experience the issues anew, but to finally let go of the pain. Healing Crystals & Stones: Green Calcite helps Cancer ground and soothe painful emotions. Your imagination takes flight the first week of April, Leo. You’re dreaming of expanding your horizons and developing even bigger social circles than you already have in your life. Your natural charisma and shining personality can help you bring your imaginings into manifestation. On the 5th, you take a long look at how far you’ve come in life; when you think future-forward, you recognize the obstacles in your life and take full responsibility for your role in their development. You embrace the idea of being co-creator of your reality and in this recognition lies the ability to conquer the challenges ahead. On April 6th, you’ll serve as a mentor for another who is seeking guidance. April 9th, you don’t take kindly to the harsh words of another. On the 11th, you’re back in charge and feeling on top of the world. 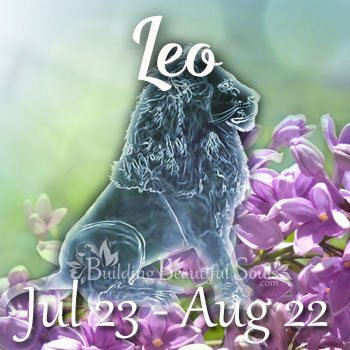 You’re feeling particularly regal from the 14th-16th Leo; your love life blossoms and you’re center stage in the social scene. The Full Moon in Libra has you feeling like a smitten kitten on the 19th; you’re happy relaxing and enjoy the pampering a lover delivers. Healing Crystals & Stones: Dumortierite helps Leo trust intuitive signals and heighten psychic senses. 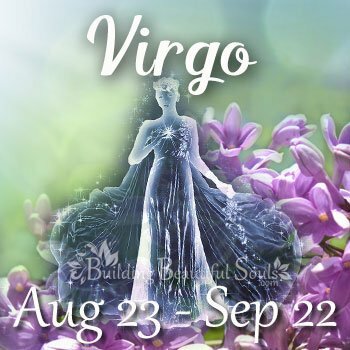 Your feeling compassionate and empathy runs high for you the first week of the month, Virgo. You’ve been through trials and tribulations, so you’ll touch on those experiences as you help others going through a similar situation. If you’re not careful, it might feel like you’re reliving emotional nightmares. Remind yourself the past is done and use the moment to recognize just how far you’ve come. You are a creature of habit and routine, Virgo. You like things orderly and predictable most of the time. But the New Moon’s energies on the 5th stir a desire within you to take a new road into your future, one that steps away from the tedium of routine. On the 6th, you’ll rethink your traditional organizational methods and develop a new plan for the way you store things, or you’ll create a new filing system. April 9th, your respect for authority goes a long way in making a situation go smoothly at work. On the 11th, you’re feeling vibrant, alive, and enjoy socializing with others. You’re pretty down to earth, but the 14th-16th has you feeling like you’re floating on air. If you’ve been obsessing lately, the entrance of the Full Moon in Libra on the 19th will help you relax and unwind. When the Sun enters Taurus, your expectations of others are more practical. Healing Crystals & Stones: Garnet helps Virgo tap into Earthy energies and balance the Root Chakra. You’ve put a lot of focus on the material world as of late; so, in your effort to keep things in balance, you’ll be looking more to spiritual pursuits early this month. Something is calling to you: Perhaps it’s the Universe or The Powers that Be. You’ll recognize this feeling when it stimulates a desire for learning and exploration. A sudden urge to search for the meaning of your life rises within you. On the 5th, you’ll find you put your traditional peace-keeping ways on the back burner for the opportunity to stand up for yourself. It’s time to tip the scales in your favor as you draw a line in the sand to define your boundaries. On the 6th, you’re feeling chatty and social; people of all ages and backgrounds appeal to you now. April 9th, you return to your peace-keeping ways, even if you feel rebellious in your heart; you’re not one who likes to stir the pot of trouble and would rather wait until an issue cools down. On the 11th, you’ll feel the troubled waters subside, and much to your satisfaction as you feel it’s not a moment too soon. On the 19th, the Full Moon enters your sign, so you’ll feel like you’re at the peak of your power. When the Sun Enters Taurus, it heightens your desire for intimacy with your romantic partner. Healing Crystals & Stones: Chiastolite helps Libra remain in balance and instills harmony. A keeper of secrets, the first of the month brings in celestial influences that threaten to reveal what you’ve been hiding. If it’s an affair you’re having, you’re partner demands answers. If you want a morsel of a chance to save the relationship, you’ll be honest, even if you’ve already justified the affair in your mind. 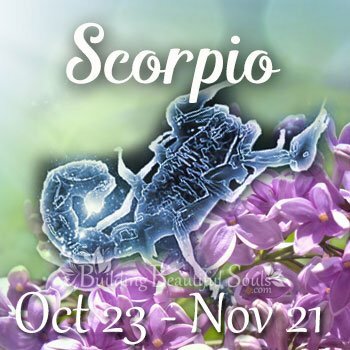 Forego the “blame game,” Scorpio: It’s a no-win situation. April 9th, it’s a good thing you’re a driven soul, Scorpio. You’ll have things you’ll have to polish off at work or home that you rather not have to do. On the 11th, you let go of any minor resentments you might have when your mood shifts and the clouds of pressure lift. From the 14th-16th, you’re feeling amorous. You’ll pamper your partner and reap their adoration in return. On the 19th, the Full Moon in Libra has you craving cuddle time with a lover. 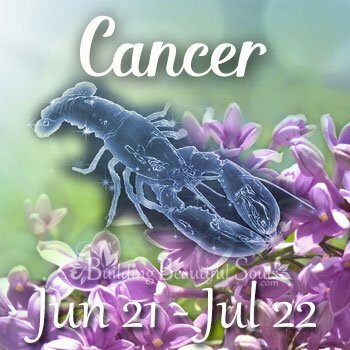 April 22nd, the earthy vibes have you ready to tend to practical duties and money matters. Healing Crystals & Stones: Kunzite helps Scorpio live a happy and prosperous life. You’re totally in tune with the Universe the first week of April, and the feeling has you walking on air. You know things without knowing how you know them, and the experience has you considering the tapestry of the Universe and your role within it. April 9th, you’re walking on egg-shells because you can’t seem to get people on board with your ideas. On the 11th, things stabilize as you feel the emotional pressure lift. Feeling extra lucky from the 14th-16th, you’ll launch a personal project you’ve been holding off for just the right time. 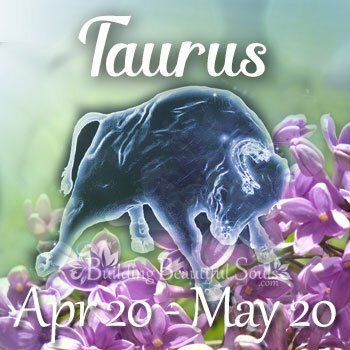 April 22nd, when the Sun enters Taurus, you’ll slow down some and take time to relax instead of leaping into the next adrenaline-pumping exploit. Healing Crystals & Stones: Black Obsidian allows Sagittarius to ground and center. 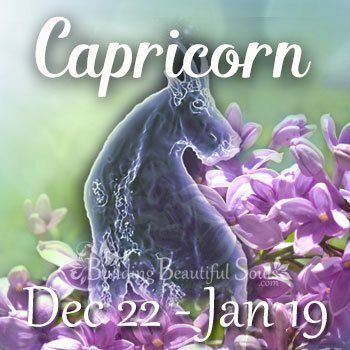 From April 1st-4th, whether at work or home, your instincts are dead on accurate, Capricorn. Every judgment you make results in a positive outcome. Projects and plans pull off without a hitch at work. In love, your more in tune with your lover than you have been in months: It’s a period that draws you closer together. Typically, you’re all work and little play, Capricorn. On the 5th, the New Moon’s influence awakens your inner child who is calling you out to play. You might play hooky or get involved in hands-on creative pursuits to fulfill your need for fun. The local playground is calling to your soul too. When’s the last time you went down a slide or played on a swing set; it seems childish because it is, but that’s what your soul is longing for now. On the 6th, you’ve got you’re a-game going on playing catch up with bills, filing, and organizing your personal belongings. April 9th, you go against the grain of who you are and begin procrastinating: It’s not a good idea, and you’ll pay for it later. On the 11th, you’re back to being timely and getting things done in an orderly fashion. From the 14th-16th, you’ll profit from financial investments, or you’ll add to your rainy-day fund which will lend a sense of security. The Full Moon in Libra on the 19th has you shift your focus from career to love. As the Sun Enters Taurus on the 22nd, you’re feeling ready to settle down with a lover. Healing Crystals & Stones: Jet helps Capricorn conquer emotional wounds and center. You always have an interest in fringe subjects, but the first week of April you’ll put all your focus in expanding your knowledge. You’ll find yourself reading up on holistic treatment modalities and myriad methods of divination. Your goal is to improve your well-being while mastering the knowledge you need to help others do the same. 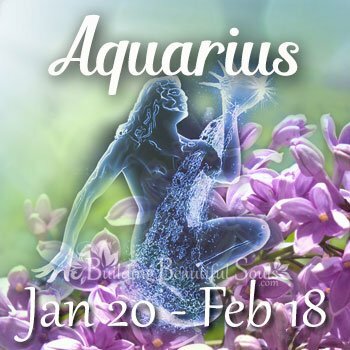 The New Moon has you reveling in your independence, Aquarius. You’ll feel completely free to be who you are without care whether people accept you or not. In your heart-of-hearts, you know you’ll make a great teacher or guide; on the 6th, you’re considering volunteering your time to mentor someone younger or less experienced than you. April 9th, you’ll have “one of those days.” If you wake up and fall out of bed, only to get up and stub your toe, climb back under the covers, and call it a day. On the 11th, the feelings the Universe is out to get you subsides: Things are looking bright once more. Keep your eyes open from the 14th-16th for opportunities coming your way. If you let your guard down, even for an instant, you might miss out. The Full Moon in Libra has you feeling amorous; rather than run from commitment, you’re thinking about sealing the deal, especially when the Sun enters Taurus two days later. Healing Crystals & Stones: Angelite improves Aquarius’ psychic senses. Deeply spiritual, the positive vibes April brings has you intensifying your spiritual focus, Pisces. You may deepen your studies of your religion or explore other religions to expand your understanding of the Divine. The discovery of your spiritual strength combines with the New Moon energies on the 5th, to make you feel brave enough to open up emotionally with your lover. If single, you may open up to a friend or close family member to express long-hidden feelings. On the 6th, you’re thinking about family and your roots; It’s time to develop that family tree album you want to pass down to future generations. April 9th, you’ll feel like your breaking your back to get things done. When you don’t get the praise you expect, you’ll feel as if others are taking you for granted. April 11th, you’ll shift your perspective and realize you don’t need praise to know you’re appreciated. 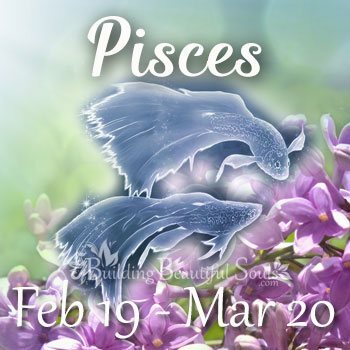 From the 14th-16th, you’re feeling financially secure; but don’t let your money burn a hole in your pocket, Pisces. Forego impulse buys, at least for now. You’re longing for the sheltered arms of a lover on the 19th. On the 22nd, you’re are safe and protected as you and your romantic partner spend time alone in your sacred space. Healing Crystals & Stones: Aegirine helps Pisces diminish stress.